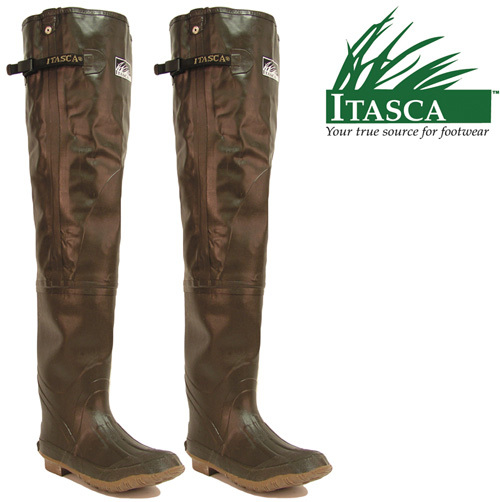 These Itasca Hip Wader's offer durability, warmth, and protection in cold water. Keeps your feet and hips dry. Perfect for hunting and fishing! These hip waders feature cotton lining for warmth and comfort you won't find in similarly priced waders. Other features include reinforced seams for durability, rustproof hardware for longevity, and cleated rubber outsole for ultimate traction in slippery areas. Color: Black. Men's size 10. Sorry, expedited shipping is not available.